Our population cap for next year will be 2300 of you wonderful souls. We’re slowing down our growth for at least a year to help us refine our processes, and to expand and strengthen our volunteer base. The creative grant budget for next year will be $55,000. Look for an announcement very soon that will open the first round of creative grant applications. How will you blow my mind this year?! Start those wheels turning!!! One of the objectives of the Fall Board of Directors Mini-Retreat was to assign board members to their liaison roles. How it works is that each board member is assigned a number of departments. It is part of the board member’s job to get their departments what they need, give them feedback from the board, pitch in with implementation if their departments need help, and pick up loose ends when necessary. How Can You Plug In? Volunteer!! I absolutely love volunteering for Apo and I’m ready for 2015! Not only do I help the organization, but I meet some of the most AMAZING people, too. I hear that there will be several lead positions opening up soon, on top of the roles open right now. Stay tuned if you’re interested in taking on a crucial Ignition role this year. 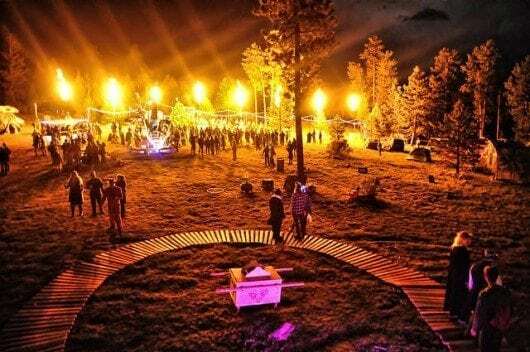 Remember: all Ignition Members get a guaranteed discounted ticket to Apogaea! Do you have a theme for Apogaea 2015 that would absolutely blow the roof off? Let’s brainstorm over some cocktails. Details on where to send your ideas are coming next. Have you sometimes wondered about the decisions that are made by our Board of Directors? I know I have. And I also realize that I’m not privy to all the details that form those decisions. Well, our 2015 Board wants to make it a priority to keep you in the loop. Look for an FAQ coming soon that will fill us in on all the pros, cons, circumstances, and considerations that are carefully weighed as we steer the Apogaea Starship to a place far from earth. Are you ready, lovelies? Let’s start the crank and turn it up to “eleven”! Flame On!